Adventure awaits, right here in Ohio. 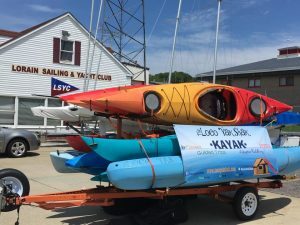 Looking for kayak instruction? From just the basics to safely rescuing yourself on Lake Erie, we do it all. 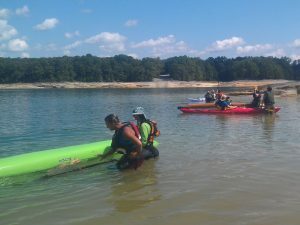 Our Adaptive-Endorsed ACA Certified Kayak Instructors are prepared to help you make the most of your time on the water. Classes available for all abilities. 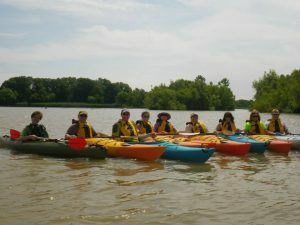 Thinking about a group kayak outing for your book club or youth group, but aren’t quite sure where or how or when? Would you feel a little more comfortable having an experienced guide with you? Whether it’s your first time out, or you’re new to the area, we’d love to show you our “neighboorhood”. Hourly, daily, or weekly kayak rentals available. View our weekly Mobile Rentals schedule here. $15-20/hour. Date Night? Make a reservation for the Rockin’ On The River concert actually “ON THE RIVER”! Vacationing on the lake? We deliver! Click Here to go to our holiday store at LoCo ‘Yaks.com.